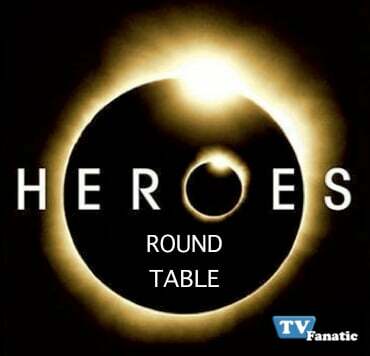 Heroes Round Table: "Tabula Rasa"
We're back with another edition of the Heroes Round Table! What did you like or dislike about this week's new episode? We hope you're discussing it with fellow viewers in our forum. Choose your favorite villain: Sylar or Samuel? A. Hiro: Out with the old, in with the new! Samuel strikes me as far more intriguing these days. He commands my attention during each scene, while I almost find myself bored with Sylar. Milover: Sylar. Samuel is simply the flavor of the month, if you will. But you heard the carnival folks discussing Sylar this week. They've all heard of him. They all fear him. That's the nature of a true villain. Timex: Samuel, because he's layered. I never bought into Sylar's backstory - he's evil because he wants to be special? - but Robert Knepper plays Samuel is such a manner that I can't tell if he's wholly evil. I love that. A. Hiro: I read somewhere that it's the one character fans will expect the least. For that reason, I'm going with Peter. Milover: HRG. First off, he doesn't have an ability, so he actually can die. Secondly, he's been mulling about without a purpose recently. Now that he sort of found one this week, I can see him perishing while trying to help another troubled hero. Timex: I'm sorry, but I refuse to believe any will die until I see it. I've been asking for someone major to bite the big one for years, in order to up the stakes on the show, and it never happens, even though Tim Kring has admitted he doesn't know how to write for all these characters. Who did you miss more this week: Mohinder, Tracy or Parkman? A. Hiro: Mohinder? HA! I'll go with Parkman because I really like Greg Grunberg as an actor. Milover: Parkman. Ali Larter is gorgeous, but it never made sense why they brought her back. We got to know her as Micah's mom, a sweet, tough, vulnerable character. Why kill off the character and keep the actress? Timex: Mohinder. It makes me laugh that they even keep him around, following the utterly ridiculous impression of The Fly he underwent last season. A. Hiro: No. Jayma Mays stars as Emma on Glee now, and she best not be going anywhere! Timex: Yes. But it will create a major problem in history, sort sort of "butterfly effect" on a grand scale that will cause major problems around the world. We need to jump start the real Sylar. Wake the sleeping lion. Permalink: We need to jump start the real Sylar. Wake the sleeping lion. My power is understanding people like you. That's what I do. Permalink: My power is understanding people like you. That's what I do.